The Los Angeles County supervisors threw their considerable weight behind the statewide rental regulation ballot measure, voting 3-1 on Tuesday to endorse Proposition 10, the so-called Affordable Housing Act. If voters approve Proposition 10 in November, local governments would have more power to pass rent control policies, which have been largely limited since 1995. The move comes weeks after the supervisors passed temporary rent stabilization measures in the unincorporated parts of L.A. County. Those rules apply to about 57,000 rented apartments and mobile homes. But there are another 69,000 rented homes in the unincorporated county areas where rent stabilization is prohibited. Most of those are rented houses, where rent control regulations are blanket-banned by the Costa-Hawkins Rental Housing Act. That's the state law that Proposition 10 would repeal if voters approve the ballot measure. Should that happen, local governments would be allowed to to apply rent regulations to single-family homes, if they choose to do so. The rise of single-family home rentals has been one of the most notable changes in the housing market over the past decade. As foreclosed homes flooded the market, many were snapped up by investment firms, and turned around for offer on lease. Today, more than a quarter of all houses in Los Angeles and Orange counties are rentals, according to census data. The concentration of residential property in the hands of a few investment companies is one of the reasons Supervisor Sheila Kuehl supports Proposition 10. "Private equity firms have bought up thousands and thousands of rental units in L.A. County," she said. "This is not mom and pop with four apartments. It's become a big business." Supervisor Kathryn Barger cast the sole vote against the board's endorsement of Prop 10. So far, the "No on 10" campaign has raised nearly $60 million, according to the Secretary of State's office. In comparison, supporters of Proposition 10 have raised about $22 million. From the county's perspective, rent stabilization is about preserving neighborhoods and helping people remain in their homes. "I don't want the rents to be out of control in L.A. County, because it's a wonderful place to live, and it's important for us to keep a mix of the different economic levels that live in L.A. County," said Kuehl. "We want our workers to be able to live where they work, but they're being priced out." A study released last year by Zillow found a 5 percent increase in the average countywide rent correlates to roughly a 3 percent increase in homelessness. 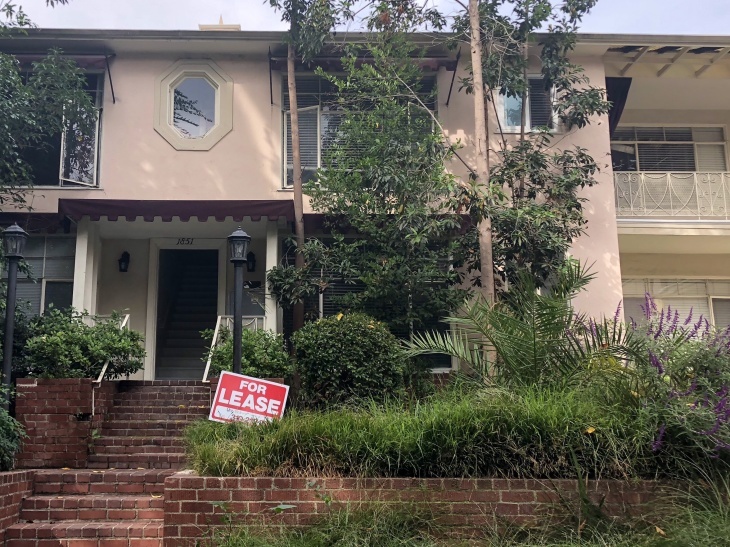 Right now, only a few cities in L.A. County — Los Angeles, West Hollywood, Beverly Hills and Santa Monica — have rent stabilization or tenant protection ordinances on their books. For example, the city of Los Angeles' ordinance limits rent increases to 3 percent annually, and requires landlords to show "just cause" before evicting tenants living in apartment buildings built before Oct. 1, 1978. Rules on how much rent can increase, and what buildings are affected, differ slightly in WeHo, Santa Monica, and Beverly Hills. But in the county's remaining 84 cities, as well as its unincorporated parts, a landlord is legally allowed to raise a tenant's rent without any limitation at the end of a lease, so long as the tenant receives a 30- to 60-day notice, depending on the amount of the rent increase.